The US government spends billions of dollars every year to reduce uncertainty: to monitor and forecast everything from the weather to the spread of disease. In other words, we spend a lot of money to anticipate problems, identify opportunities, and avoid mistakes. A substantial portion of what we spend-over $50 billion a year-goes to the US Intelligence Community. 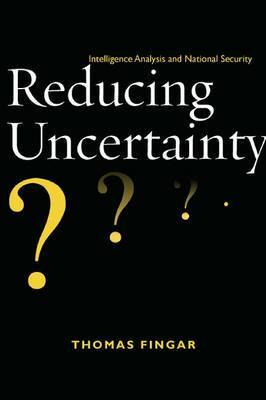 Reducing Uncertainty describes what Intelligence Community analysts do, how they do it, and how they are affected by the political context that shapes, uses, and sometimes abuses their output. In particular, it looks at why IC analysts pay more attention to threats than to opportunities, and why they appear to focus more on warning about the possibility of "bad things" happening than on providing the input necessary for increasing the likelihood of positive outcomes. The book is intended to increase public understanding of what IC analysts do, to elicit more relevant and constructive suggestions for improvement from outside the Intelligence Community, to stimulate innovation and collaboration among analysts at all grade levels in all agencies, and to provide a core resource for students of intelligence. The most valuable aspect of this book is the in-depth discussion of National Intelligence Estimates-what they are, what it means to say that they represent the "most authoritative judgments of the Intelligence Community," why and how they are important, and why they have such high political salience and symbolic importance. The final chapter lays out, from an insider's perspective, the story of the flawed Iraq WMD NIE and its impact on the subsequent Iran nuclear NIE-paying particular attention to the heightened political scrutiny the latter received in Congress following the Iraq NIE debacle.